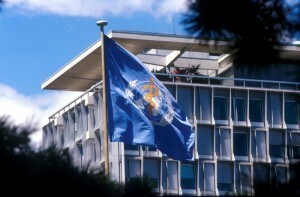 JUNE 2013 | GENEVA – Physical or sexual violence is a public health problem that affects more than one third of all women globally, according to a new report released by WHO in partnership with the London School of Hygiene & Tropical Medicine and the South African Medical Research Council. The report, Global and regional estimates of ‘violence against women’: Prevalence and health effects of intimate partner violence and non-partner sexual violence, represents the first systematic study of global data on the prevalence of violence against women – both by partners and non-partners. Some 35% of all women will experience either intimate partner or non-partner violence. The study finds that intimate partner violence is the most common type of violence against women, affecting 30% of women worldwide. The study highlights the need for all sectors to engage in eliminating tolerance for violence against women and better support for women who experience it. New WHO guidelines, launched with the report, aim to help countries improve their health sector’s capacity to respond to violence against women. The report details the impact of violence on the physical and mental health of women and girls. This can range from broken bones to pregnancy-related complications, mental problems and impaired social functioning. Death and injury – The study found that globally, 38% of all women who were murdered were murdered by their intimate partners, and 42% of women who have experienced physical or sexual violence at the hands of a partner had experienced injuries as a result. Depression – Partner violence is a major contributor to women’s mental health problems, with women who have experienced partner violence being almost twice as likely to experience depression compared to women who have not experienced any violence. Unwanted pregnancy and abortion – Both partner violence and non-partner sexual violence are associated with unwanted pregnancy; the report found that women experiencing physical and/or sexual partner violence are twice as likely to have an abortion than women who do not experience this violence. Low birth-weight babies – Women who experience partner violence have a 16% greater chance of having a low birth-weight baby. Fear of stigma prevents many women from reporting non-partner sexual violence. Other barriers to data collection include the fact that fewer countries collect this data than information about intimate partner violence, and that many surveys of this type of violence employ less sophisticated measurement approaches than those used in monitoring intimate partner violence. In spite of these obstacles, the review found that 7.2% of women globally had reported non-partner sexual violence. As a result of this violence, they were 2.3 times more likely to have alcohol disorders and 2.6 times more likely to suffer depression or anxiety – slightly more than women experiencing intimate partner violence. The report also emphasizes the urgent need for better care for women who have experienced violence. These women often seek health-care, without necessarily disclosing the cause of their injuries or ill-health. New WHO clinical and policy guidelines released today aim to address this lack of knowledge. They stress the importance of training all levels of health workers to recognize when women may be at risk of partner violence and to know how to provide an appropriate response. The report’s authors stress the importance of using these guidelines to incorporate issues of violence into the medical and nursing curricula as well as during in-service training. WHO will begin to work with countries in South-East Asia to implement the new recommendations at the end of June. The Organization will partner with ministries of health, non-governmental organizations (NGOs) and sister United Nations agencies to disseminate the guidelines, and support their adaptation and use. In March 2013, Dr Chan joined the UN Secretary General and the heads of other UN entities in a call for zero tolerance for violence against women at the Commission on the Status of Women in New York. During the Sixty-sixth World Health Assembly in May 2013, seven governments – Belgium, India, Mexico, Netherlands, Norway, United States of America, and Zambia – declared violence against women and girls “a major global public health, gender equality and human rights challenge, touching every country and every part of society” and proposed the issue should appear on the agenda of the Sixty-seventh World Health Assembly. The report was developed by WHO, the London School of Hygiene & Tropical Medicine and the South African Medical Research Council. It is the first systematic review and synthesis of the body of scientific data on the prevalence of two forms of violence against women – violence by an intimate partner and sexual violence by someone other than an intimate partner. It shows for the first time, aggregated global and regional prevalence estimates of these two forms of violence, generated using population data from all over the world that have been compiled in a systematic way. The report documents the effects of violence on women’s physical, mental, sexual and reproductive health. This was based on systematic reviews looking at data on the association between the different forms of violence considered and specific health outcomes. The report represents data regionally according to WHO regions*. South-East Asia – 37.7% prevalence. Based on aggregated data from Bangladesh, Timor-Leste (East Timor), India, Myanmar, Sri Lanka, Thailand. Eastern Mediterranean – 37% prevalence. Based on aggregated data from Egypt, Iran, Iraq, Jordan, Palestine. Africa – 36.6% prevalence. Based on aggregated data from Botswana, Cameroon, Democratic Republic of Congo, Ethiopia, Kenya, Lesotho, Liberia, Malawi, Mozambique, Namibia, Rwanda, South Africa, Swaziland, Uganda, United Republic of Tanzania, Zambia, Zimbabwe. WHO Africa Region: Algeria, Angola, Benin, Botswana, Burkina Faso, Burundi, Cameroon, Cape Verde, Central African Republic, Chad, Comoros, Congo, Côte d’Ivoire, Democratic Republic of the Congo, Equatorial Guinea, Eritrea, Ethiopia, Gabon, Gambia, Ghana, Guinea, ,Guinea Bissau, Kenya, Lesotho, Liberia, Madagascar, Malawi, Mali, Mauritania, Mauritius, Mozambique, Namibia, Niger, Nigeria, Rwanda, Sao Tome and Principe, Senegal, Seychelles, Sierra Leone, South Africa, Swaziland, Togo, Uganda, United Republic of Tanzania, Zambia, Zimbabwe. WHO Region of the Americas: Antigua and Barbuda, Argentina, Bahamas, Barbados, Belize, Bolivia (Plurinational State of), Brazil, Canada, Chile, Colombia, Costa Rica, Cuba, Dominica, Dominican Republic, Ecuador, El Salvador, Grenada, Guatemala, Guyana, Haiti, Honduras, Jamaica, Mexico, Nicaragua, Panama, Paraguay, Peru, Saint Kitts and Nevis, Saint Lucia, Saint Vincent and the Grenadines, Suriname, Trinidad and Tobago, United States of America, Uruguay, Venezuela (Bolivarian Republic of). WHO Eastern Mediterranean Region: Afghanistan, Bahrain, Djibouti, Egypt, Iran (Islamic Republic of), Iraq, Jordan, Kuwait, Lebanon, Libya, Morocco, Oman, Pakistan, Qatar, Saudi Arabia, Somalia, South Sudan, Sudan, Syrian Arab Republic, Tunisia, United Arab Emirates, Yemen. WHO European Region: .Albania, Andorra, Armenia, Austria, Azerbaijan, Belarus, Belgium, Bosnia and Herzegovina, Bulgaria, Croatia, Cyprus, Czech Republic, Denmark, Estonia, Finland, France, Georgia, Germany, Greece, Hungary, Iceland, Ireland, Israel, Italy, Kazakhstan, Kyrgyzstan, Latvia, Lithuania, Luxembourg, Malta, Monaco, Montenegro, Netherlands, Norway, Poland, Portugal, Republic of Moldova, Romania, Russian Federation, San Marino, Serbia, Slovakia, Slovenia, Spain, Sweden, Switzerland, Tajikistan, The former Yugoslav Republic of Macedonia, Turkey, Turkmenistan, Ukraine, United Kingdom, Uzbekistan. WHO South-East Asia Region: Bangladesh, Bhutan, Democratic People’s Republic of Korea, India, Indonesia, Maldives, Myanmar, Nepal, Sri Lanka, Thailand, Timor-Leste. WHO Western Pacific Region: Australia, Brunei Darussalam, Cambodia, China, Cook Islands, Fiji, Japan, Kiribati, Lao People’s Democratic Republic, Malaysia, Marshall Islands, Micronesia (Federated States of), Mongolia, Nauru, New Zealand, Niue, Palau, Papua New Guinea, Philippines, Republic of Korea, Samoa, Singapore, Solomon Islands, Tonga, Tuvalu, Vanuatu, Viet Nam.